Mink Hollow Farm, LLC is small business located in the state of GA, but the actual farm is located in very rural NY state. We lease our agricultural fields to local neighbor dairy farmers which are used to grow hay and corn to feed the cows. Drink More Milk! Produced daily in the USA! Garden Blog: We are currently writing a garden blog which we hope you will find useful. The blog will, for the most part, follow our current gardening activities. We have had vegetable, small fruit and nut tree gardens throughout the years in New York, Indiana, North Carolina, Missouri, Georgia, and California. Forest Products: Standing timber including Cherry, Maple, Red Oak, White Oak, Ash, Basswood, Beech, Larch, Red Pine, and Yellow Birch. Currently we have a large inventory of cherry, air dried lumber. We have been making solid cherry bread and cheese boards. 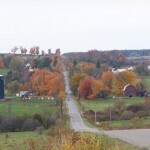 Honey: We have a very good location for honey bees on the rolling hillsides of western NY, dotted with dairy farms and clover fields, large forest areas, and former farm fields that are overgrown with goldenrod and asters. Our honey contains mostly, clover, goldenrod, aster, and basswood nectars, and is considered a wildflower honey. 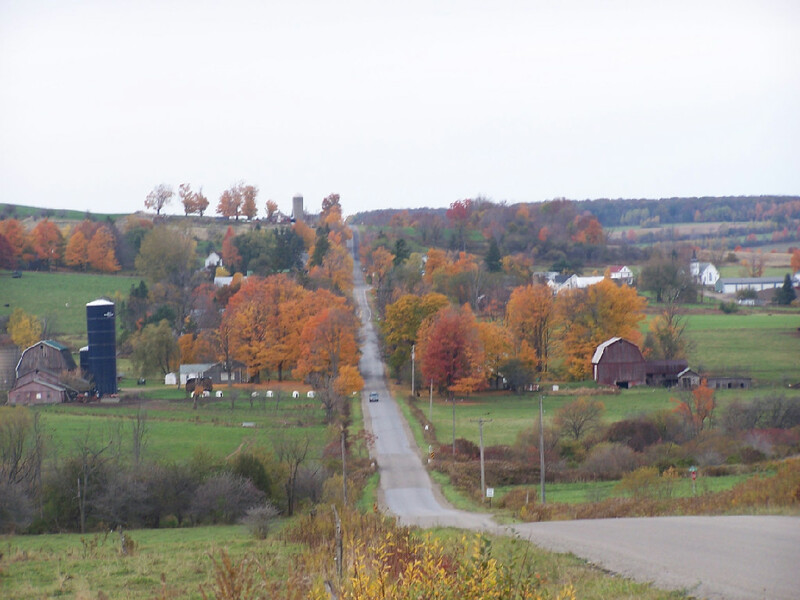 Maple Syrup: The farm is surrounded by neighbors that produce Maple syrup each March. If you are interested in purchasing NY State Maple Syrup, text Mark at 404-754-5866. We can connect you with a local producer. Apples: There is a 32 tree apple orchard on the property that my father planted. We are bringing this orchard back into production. We had the orchard professionally trimmed in 2014 with the goal of increased fruit quality, ease of picking, increased air flow to reduce fruit diseases, and to allow better pest management. New York is always the number 2 or number 3 producer of apples in the USA. Wildlife and Ecosystems: There are variety of ecosystems on the property including forested and non forested wetlands and streams. We have an interest in attracting and observing wildlife. Monarch butterflies: We maintain a milkweed preserve to attract and sustain Monarch Butterflies. White Tailed Deer: We maintain food plots which provide nutrient rich forage to help maintain herd health. Custom Application – making pesticide applications for producers. Farm Management – manager of a strawberry, raspberry, blueberry, and vegetable farm. Product Management – agricultural chemicals, new product development. Customer Care Management – agricultural chemicals and seed. Customer Care in Dairy – products which increase milk production (Posilac). Sales – lawn and landscape agronomic products, including storm water drainage. Sales – organic poultry fertilizer and chitosan adjuvant products.